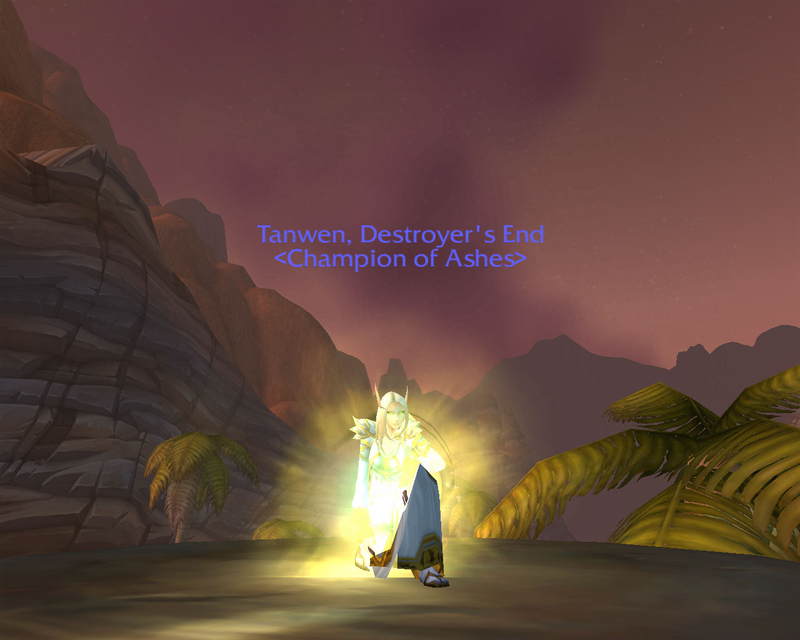 Tanwen « It's For My RP Spec! … oh. Right. Then I read the requirements. I interrupt these irregularly scheduled TYI’s to bring you a short commercial break. It’s not actually a commercial, but more of a personal endorsement. Because WoWInsider has been doing the 12 Days of Winter Veil, they have had items donated from a TCG loot site, WootLoots.com. As they are clearly endorsed by WoWInsider (and WoWTCGLoot was out of an item I wanted), I decided to give them a shot. I only wanted two little things at the moment, more Path of Cenarius and my first batch of Path of Illidan. I ordered, got my email within minutes, and went to redeem my codes. “Redemption Code Not Found” on my Path of Cenarius. I immediately went into panic mode, since I use the husband’s credit card for everything was ready to hear all about getting scammed. But my Path of Illidan redeemed just fine. I checked their support section, which mostly covers what to do if your item won’t work in-game, but since I couldn’t even redeem the code, I filled out their contact form. Wow. This was truly excellent customer service. 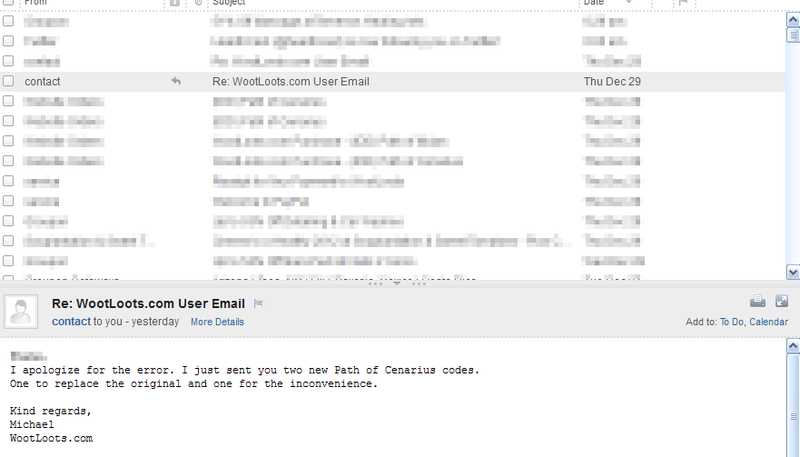 Extremely fast response time, admission of error, a resolution, and something extra for the inconvenience. As a first-time customer, I am extremely satisfied and couldn’t wait to post about my enjoyable interaction with them. So hats off to you, WootLoots. I can’t wait to convince the husband that I need more silly digital items so I can order more!